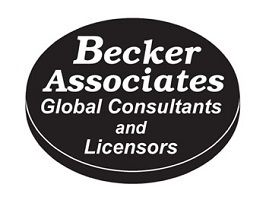 Anjar and Becker Associates are award-winning, full-service global brand management, IP licensing, and consulting agencies. We've licensed more than 800 products, resulting in $2 billion of sales. Services include: world leading toy IP rights protection and child development expertise. Licensors of: Anne Geddes Brand, Howard Robinson Brand, Fireball Island, Tumball, PlayTape, Tiny Town, Klorofil, Gumby & Pokey, Barrel of Monkeys, Disappearing Magic Baby Bottle, Battle Dome, Nerf Ping Pong, Baby Get Well, TMNT Goops, Othello, Sliders, Shirt Pocket Games, and hundreds of proven toys and games. Jim Becker, Anjar’s Founder, is in the TOY INDUSTRY HALL OF FAME.